The idea of adding noise-makers to quiet-cars didn’t exist until the first hybrid-electric cars hit the market in 2000, according to Green Car Reports. 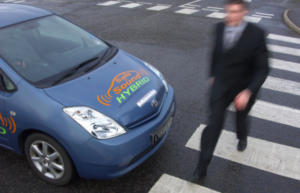 Within a few years, however, organisations representing the blind began to raise alarms that cars operating at low speeds solely on electric power couldn’t be heard by pedestrians who also couldn’t see them. What followed was almost a decade of slow investigation, proposals, directives and rule-making. Recently, the Department of Transportation’s NHTSA finalised the rules under which those quiet cars will be required to emit noises at low speeds, according to a report by Reuters. It also extended the deadline for full compliance with the rule to 2020. Congress first requited the agency to investigate, research and propose rules to add noise-emitting gear to quiet cars back in 2010 – when it required them to be put into force for 2014. It will require all vehicles to make noise at speeds up to 18.6 miles per hour by September 2020. One year before that, automakers must have fitted the noise-makers to 50% of the qualifying vehicles. At speeds above that level, the combination of noises from tires and wind resistance make the cars easier to hear, according to analysis used by the NHTSA. Under rules adopted by the Obama administration, the new regulations were to go into effect by September 2019, but the regulations were frozen by the Trump administration relatively soon after it arrived in January 2017. Separately, Nissan had requested that the threshold speed be lowered to 12.4 mph form the level proposed and ultimately adopted. A separate request by automakers that they be allowed the vary the noises legally emitted by their cars – most likely to adopt distinctive sounds that aligned their brands – will be considered by the agency. Altogether, the NHTSA said, it expects the noise-making rules to avert 2,400 injuries a year when fully implemented. The agency projects that it will apply to more than half a million vehicles in 2020, which represents its best assessment of the number of hybrid, battery-electric and plug-in hybrid vehicles that will be sold that year. Data on the rate of injuries suffered by pedestrians who do not hear approaching cars is sparse, but the problem may now have extended beyond the blind to those looking not out at the streets but down at their mobile devices while walking.